This is cathegory for cats and kittens in Brisbanewhere you can find cats and kittens for sale in Brisbane,diffrent cats and kittens in this Brisbane,colour and breed. Cats for sale, kittens for sale ads in Brisbane. 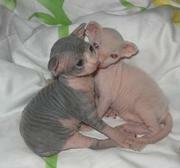 Thank you for visiting our free advertising website Cats for sale, kittens for sale, Brisbane section. We provide high response free classifieds and free advertisement. Use our online free Cats for sale, kittens for sale classifieds placement system to find, list, offer Cats for sale, kittens for sale online! Cats & Kittens for sale! Exotic Cream Van Male Desexed & Microchipped Vaccinated Wormed House reared to a loving home only Born 20.01.11 Price $550 Persian Red Bi-Colour Male Desexed Microchipped Vacc Wormed also to a loving home only Born 20.01.11 Price $550 Phone 0423003442 or 0434558614 Phone or SMS e-mail zarby13@gmail. Exotic Red Bi-colour Male Born 15.07.11 Vaccinated etc Only to a loving & caring home & 650 Parents PKD DNA TESTED NEGATIVE Persian Kittens Born 14.10.11 Various colours, lovely home reared babies ALL PARENTS PKD DNA TESTED NEGATIVE Pet quality &650 Breeder & Show Price on application Sired by CCCA Ch CFCCQ & QFA PDGC Shawtop Say What Phone 0423003442 & 0434558614 or SMS e-mail zarby13@gmail. we have three cute and lovely female kittens for sale to forever homes . they are well trained and are vaccinated . they are freed from worms and are lovely to keep by you ..
Australia free ads for Cats for sale, kittens for sale, Brisbane, Cats for sale, kittens for sale free ads Brisbane, Cats for sale, kittens for sale for sale Brisbane, Cats for sale, kittens for sale to buy in Brisbane. 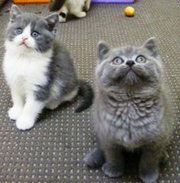 Find on this page free classifieds for Cats for sale, kittens for sale in Brisbane. This listing includes classifieds for sale and to buy in Brisbane. FREEADSAustralia Brisbane offers you a platform to post free advertisements or classifieds for Cats for sale, kittens for sale in Brisbane. FREEADSAustralia helps you search, find buy, sell, rent or hire in various categories like apartments, goods for sale, local services, cars , jobs and many more in Brisbane. 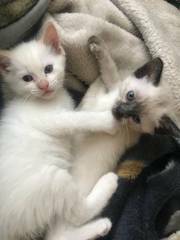 If you posted an advertisement in category Cats for sale, kittens for sale of FREEADSAustralia Brisbane before please use Edit my ads button to change or cancel your ad. Cats for sale, kittens for sale Brisbane ads Brisbane, Cats for sale, kittens for sale classifieds Brisbane, Cats for sale, kittens for sale free ads Brisbane, ads for sale Brisbane, ads to buy Brisbane, FREEADSAustralia. Find here ads for sale, to buy and rent in Brisbane. Goods for sale in Brisbane, vehicles for sale in Brisbane, Brisbane real estate for sale, Brisbane property for sale, property for rent in Brisbane, business ads in Brisbane, Brisbane business classifieds, services in Brisbane, Brisbane services ads, jobs in Brisbane, pets for sale in Brisbane, Brisbane dating, Brisbane cars for sale.